Last Friday, SaaStr brought their immensely popular conference to Europe for the first time. And we couldn’t agree more: SaaStr Europa was a huge success! Behind the motto Scale. Share. Learn., they brought together SaaS enthusiasts & entrepreneurs from all over Europe and way beyond. We met so many inspiring companies & interesting people. We learned a lot from our peers, sharing ideas & experiences that all of us had come across while building & scaling a SaaS product. We couldn’t be happier to have been part of SaaStr Europa as an official sponsor. What’s so powerful about the event, is that sharing knowledge is at the core. In that spirit, we’re sharing back with the community. 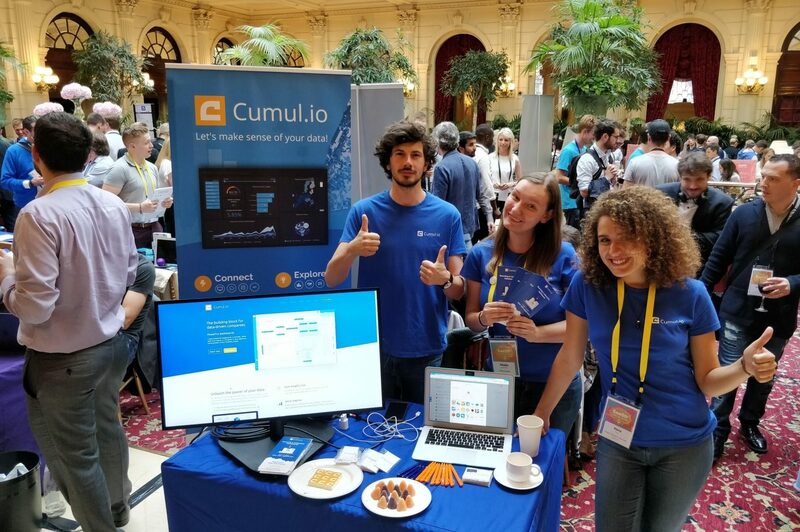 Read on for a ‘SaaStr Europa revisited’ through the eyes of Cumul.io: what we learned, who we talked to and what caught our eye. I think the whole team got to the office on Monday with a sore throat from all the talking. But at least it made us realize 1 simple thing: never think you’ve cracked the nut, because there’s always more to learn. First of all, talking to other founders, engineers, marketers in SaaS is refreshing. It helps you to look beyond your own operations. Many companies are very successful & have great processes & strategies in place to scale their SaaS. It’s clear that we don’t need to reinvent the wheel. We need to learn from each other through conversation. How? Braindates! A really cool concept at SaaStr Europa, enabling you to easily find & meet up with people who want to learn & share knowledge about a particular topic. For example, I had a couple of Braindates on how to use your data for marketing & sales alignment, together with people from interesting SaaS companies like Gatekeeper, Madkudu, Frontify, and more. We have our own stack of dashboards to stay on top, but I got some great additional tips on lead scoring & buyer persona’s. 2. Stand out. Surprise people. Nowadays, we live in a world where we are overwhelmed by new stimuli. Companies and brands are all screaming for attention. And even if you’re trying not to do so, it’s getting tough to really catch people’s attention. But still, some brands succeed to surprise you! At SaaStr Europa, Point Nine Capital was the perfect example. Their ‘SaaS Funding Napkin’ was a real conversation starter among the visitors. 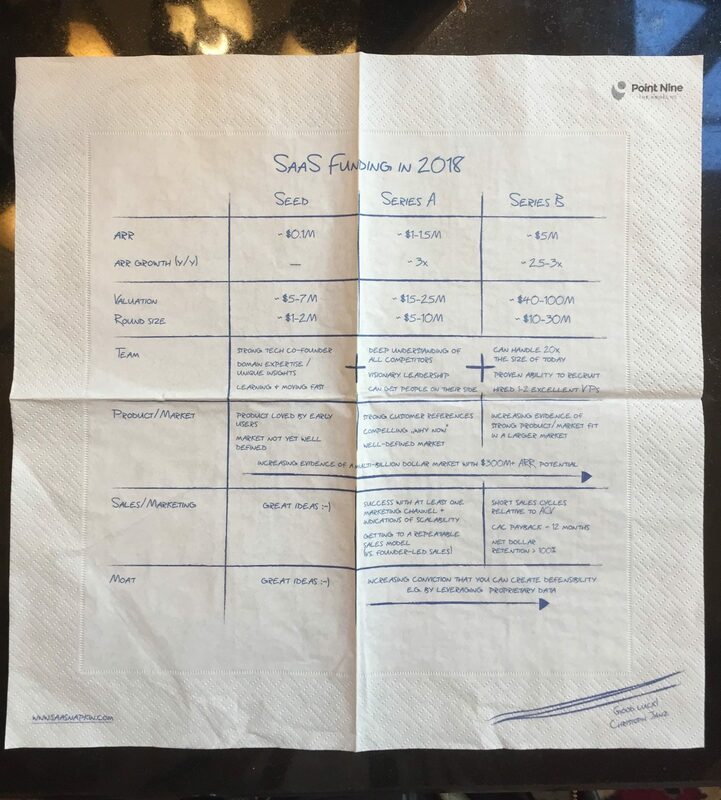 They conducted a study on what it takes to raise capital in SaaS, and printed it on a napkin. Kind of like when you’re in an early-stage startup, sitting in a bar and just jotting your ideas down. So simple, but so recognizable! Just like that, they managed to create a real ‘rapport’ with their audience. The core of SaaS? For us, it’s to be an enabler for companies. To automate the processes you shouldn’t waste time on. So our core is to make yoúr job easier, and help you focus on what really matters to your company. We met a couple of cool SaaS companies who clearly stick to this principle. They are building awesome products that will help any company focus on their core. Plus, many of them are making smart use of data to do so. Extra kudos! I talked to Liam, Head of Brand Strategy at MadKudu, during one of my braindates. He had a solid view on how to bring together sales & marketing through analytics. Basically, their SaaS helps companies to optimize the customer journey, from the first touchpoint until the actual deal closing. Thanks to predictive analytics, they automate the lead qualification process, both for marketing & sales. It helps marketing & sales team to focus on what they do best: inspiring, attracting, and closing! 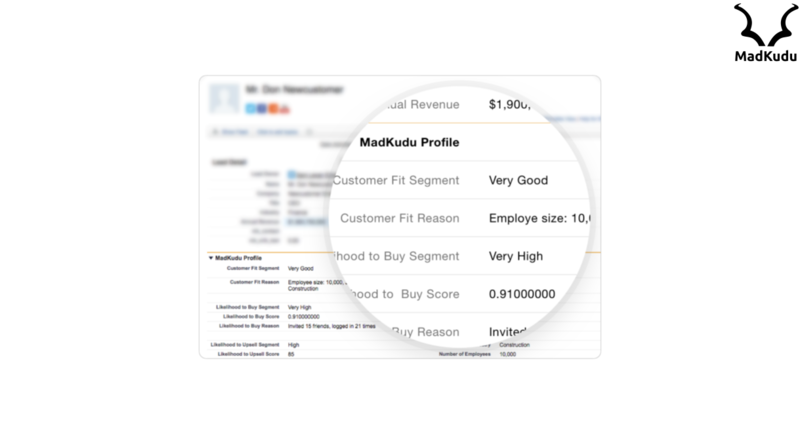 By using a SaaS like MadKudu, they won’t have to waste time on unqualified leads or deals that won’t return value in the end. If you’re a scaling company, you will definitely know the pains of recruitment. The quest for talent isn’t a simple one, but VONQ makes it easier on you. The many recruitment channels that exist are overwhelming. Through VONQ’s SaaS platform, you’ll just need to upload your vacancy once, and rely on its algorithm to pick the best performing channels for you. Manage all your job promotions in 1 place, and easily compare their performance. 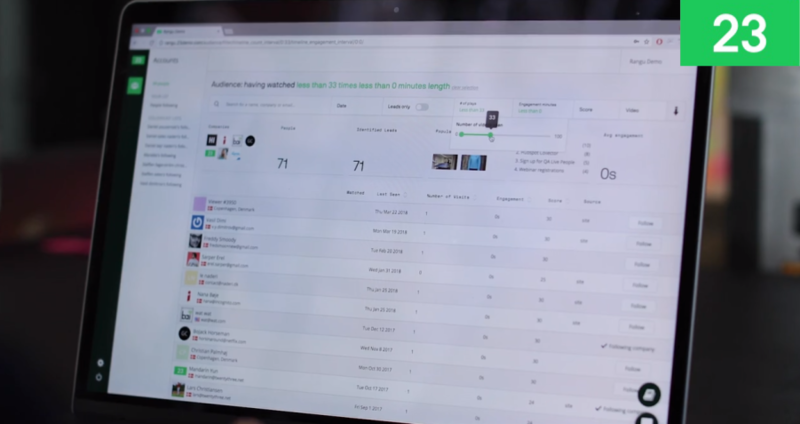 You’ll be able to monitor the whole candidate journey in 1 platform. Whereas before, you would have to set up 5 or 6 separate campaigns, all on different platforms, and you wouldn’t even have a good oversight of what’s working & what isn’t. Unless you’d spend hours on manual reporting. Now, here’s a company that really understood the power of integration. TwentyThree is a video marketing platform that offers 1 platform to manage all your video marketing. But what makes it so powerful? Think of your own marketing stack. There’s social media, marketing automation tools, web analytics, and a lot of other tools. Video marketing supports the whole customer journey, so it works across all your tools. And that’s what makes 23 so powerful: it integrates with your other marketing solutions. Like with VONQ, you’ll have a plain oversight of all your video marketing actions in 1 place. But thanks to the integrations, you’ll also enrich the data in your other marketing tools, like HubSpot or Marketo. It’s a powerful example of how different SaaS products can complement each other. From everything we heard & saw, it’s clear that there are a lot of powerful solutions on the market. But what makes them even more powerful, is when different SaaS work together. We all just want to build our own solutions, but we shouldn’t wasting time on things that already exist. Rather, have a look at the existing SaaS market & look for interesting partnerships that complement your platform. Nowadays, it’s so easy to integrate other SaaS products into your own. It can help you to further enrich your own software, without losing focus on your core business. You can even generate a new revenue stream for your product. At Cumul.io, we adapted our platform for integration into other SaaS apps. In that way, we aim to enrich other platforms with a ready-made analytics component. We want to help SaaS that have little or no experience with analytics development. If you’re interested to learn more about our integration, feel free to drop us a line! What about you? 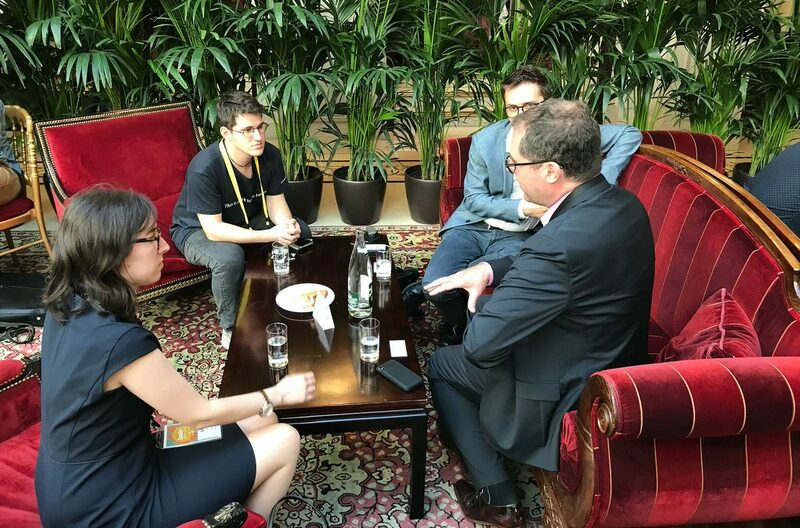 Did you get any good learnings from SaaStr Europa? Share them in the comments below!